There’s been an awful lot of focus on the Blue Jays new President of Baseball Operations over the offseason. If you don’t believe me, you can take a glance at this petition for his dismissal, which has amassed more than 1300 signatures. This thinking follows from the topic of my last essay – an interesting, somewhat unhappy quirk of the Canadian baseball fan. 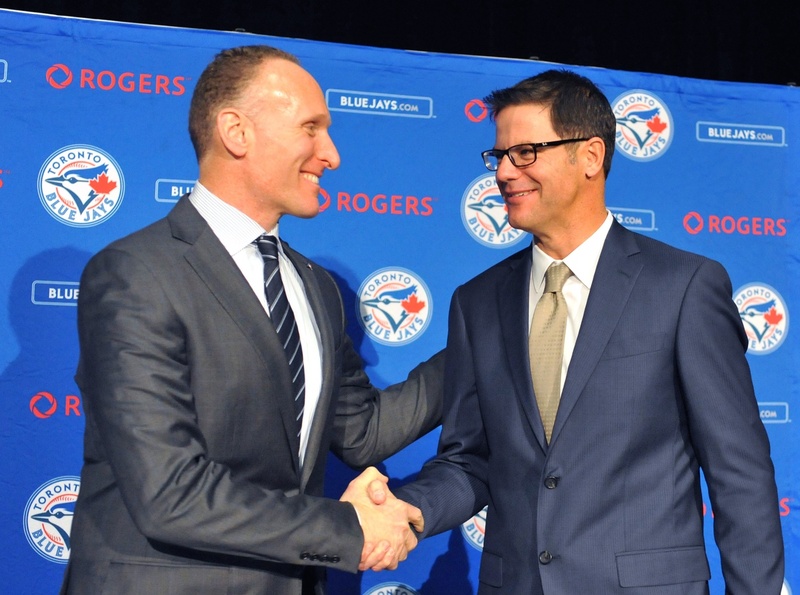 While Mark Shapiro may not deserve the ire of Blue Jays fans, one thing he did during the offseason does follow a troubling trend in baseball: the hiring of Ross Atkins. Prior to actually getting into this, I don’t want to imply that I think poorly of either Shapiro or Atkins, personally. 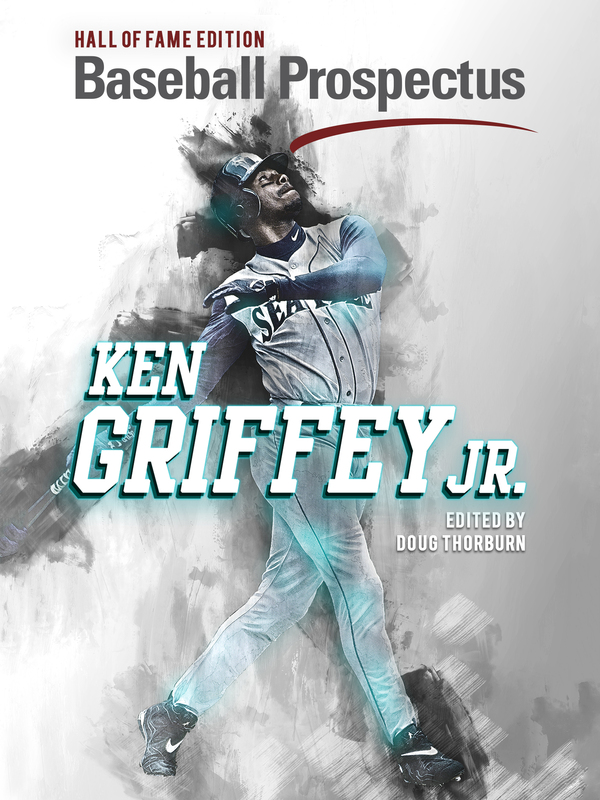 However, it has become clear that baseball is heading into an era of exclusivity that desperately needs correcting. Let’s start with Shapiro. When Alex Anthopoulos stepped down, there was a very brief period of time where Shapiro acted as the general manager. However, that was quickly remedied by throwing an interim tag on Tony LaCava. LaCava, a Smart Baseball Man™, has been an assistant general manager with the Blue Jays since 2007. Although his original hiring actually predates the Anthopoulos era, he has, rightly or wrongly, been labeled as an ‘Anthopoulos guy‘. LaCava’s tenure would last less than a month, as Shapiro interviewed only few other candidates before deciding on current GM Ross Atkins. Atkins could also be a Smart Baseball Man™. Frankly, I’m not sure. And Shapiro could be the Smartest Baseball Man™ that made an extremely Smart Baseball Decision™ by hiring Atkins. Or, conversely, the qualifications to get become a general manager in baseball have become misguided. Let’s look at those qualifications, shall we. Atkins has more than 14 years of baseball executive experience. He has worked his way from assistant director of player development to vice president of player personnel. It’s an impressive resume for certain. It is also one that may definitely qualify him to become a general manager. Through hard work and determination, Atkins has most-assuredly made himself a suitable candidate. For those that don’t know, Atkins’ former boss with his previous organization, and thereby the person at least partially responsible for some of those promotions, was Shapiro. Shapiro came from the Cleveland Indians and promptly poached an old colleague. There’s a lot to take in about that fact, but let’s make the fewest assumptions possible and say Shapiro really does like Atkins’ work ethic and thinks he has gotten to where he is on merit. Perhaps Shapiro and Atkins find it easy to work together just because they have before. Because they had a good rapport in prior work environments. Because they are like-minded individuals. These are by no means outlandish theories. The optimist may look at the last one and suggest that Atkins and Shapiro may not be like-minded insofar as they have simply found effective ways to deal with their differences. To me, that’s semantics. Meg Rowley discussed this inequity similarly mere months ago when Jerry Dipoto hired Scott Servais. Servais, who had worked as an executive under Dipoto with the Los Angeles Angels, was hired by the Seattle Mariners following the 2015 season to manage the team. What makes Servais different? He had absolutely zero managerial experience. This inequity in baseball front offices stems from a really difficult question to answer: What makes someone qualified? For any job even. For some jobs, that question is easier. To teach at the university level, a PhD is required. For others it gets a tad trickier. While administrative jobs prefer some form of formal training, it isn’t actually a requirement and experience is favoured. So what does it actually take to be a general manager in sports? Shapiro has a better understanding of that answer than I do. I’m certain of that and will concede that fact. However, I’m not certain he made the correct choice. Even more troubling though, it appears as though the correct process wasn’t even fulfilled; that due diligence wasn’t met. And Shapiro can get away with it because we all have no idea what it takes to be a general manager. Perhaps Atkins just really is that good, but how does Shapiro know that if he didn’t interview other candidates? If he didn’t ‘broaden the talent pool.’ At the very least, show Toronto, the most populous city in a country growing in culture, that you care about diversity. By my count there will be only four non-white GMs or Presidents in baseball next season: Dave Stewart, Farhan Zaidi, Kenny Williams, and Michael Hill. And that’s where the inequity becomes most glaring. That’s both grossly unfortunate and unrepresentative. I would contend that it isn’t for a lack of qualified candidates either. Instead, it’s due entirely to the fact that executives get to a discourse on ‘inside baseball’ with zero culpability. It is because teams perpetuate a false narrative that they know what makes a truly good executive, and the public is forced to agree because we don’t have the means to prove them wrong. Frankly, I’m tired of hearing about this. I hope you are too. At this point, I’m really tired of writing about Shapiro even. For what it’s worth, he seems like a savvy business man and I hope he’s able to make the Rogers Centre resemble Progressive Field. 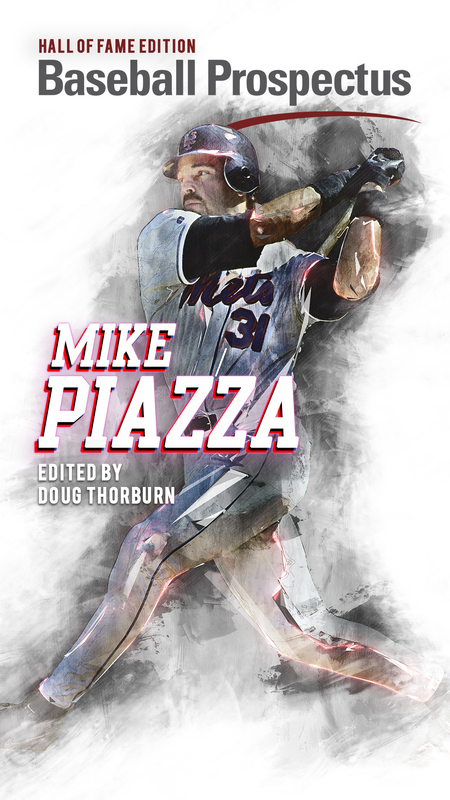 Mostly though, I’m looking forward to writing about actual baseball. However, not talking about this has gone on for too long. Baseball should not operate outside of basic human resource principles. It’s unfortunate that it has. It has been easy to avert our gaze, but doing so has led us to a league that will only have two persons of colour managing clubhouses next season. And that’s not even addressing the abhorrent gender gap. I don’t know what makes a good executive, but I do know that promoting diversity should be on that rubric. It’s time we make it a requirement. Correction: This article originally stated that the Jays interviewed only two candidates for the GM position; they interviewed four. It also stated that there are only four non-white baseball executives, when the writer intended to say that there are only four non-white GMs or Presidents. Rogers hired Shapiro in part because they felt he was the most-qualified person to “determine what makes a good executive”. This article sure seems to undervalue the benefits of knowing a multi-million dollar hire brings with it (or at the very least, increasing the likelihood of bringing with it) a positive, harmonious, productive in-office track record to that effect. I’m all for diversity, but expecting someone in Shapiro’s spot–with pressure to perform–to disregard those benefits without a structure in place that requires as much strikes me as naive. You’re assuming that Rogers conducted an effective candidate search, which seems extremely unlikely. Remember just how effective they were last year, when their strategy was basically to cluelessly ask around, and they ended up effectively tampering with the Orioles (having earlier done so with the White Sox). The Rogers process was clearly flawed (despite your kind words, Shapiro’s terrible job performance to date basically reflects on Rogers’ incompetence). Shapiro’s hiring strategy has basically been to hire his cronies. Not only Atkins, but also Eric Wedge. There’s no real search for new talent or new ideas. It is typical of his approach to running the Jays: no research, no imagination, no real signs of intelligence. Just a no-talent bean-counter.